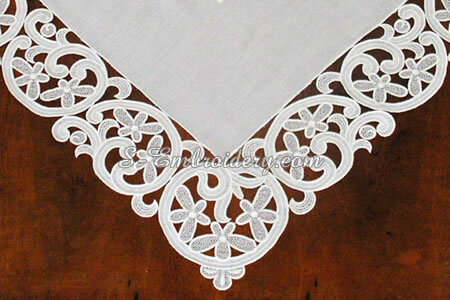 The free standing table lace set #5 is a part of our collection of "freestanding lace & fabric". It includes 22 machine embroidery files. 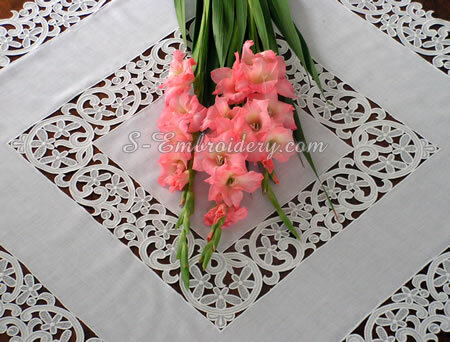 Using them in different combinations you can produce a fine table topper or table cloth. The machine embroidery designs from the set will fit in 5x7 (130x180) hoops. The number of stitches per file ranges from 25,000 to approximately 31,000. 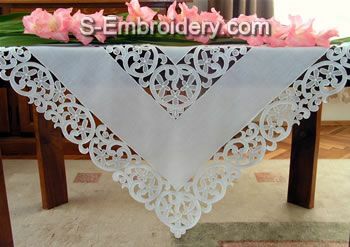 You receive 22 machine embroidery files and 2 PDF files with design information and instructions for creating the table topper featured on this page.